This was my first visit and I was really happy to have found a restaurant that is only a 5 minute walk away from the Firehall Arts Centre for a pre-show supper. I liked the high ceilinged, light and airy atmosphere and our server was friendly and efficient. The supper menu lists about 21 tapas or small plates, perfect for sharing. We opted to share three tapas plates between two of us and found it to be more than enough for two petite women, hungry or not. 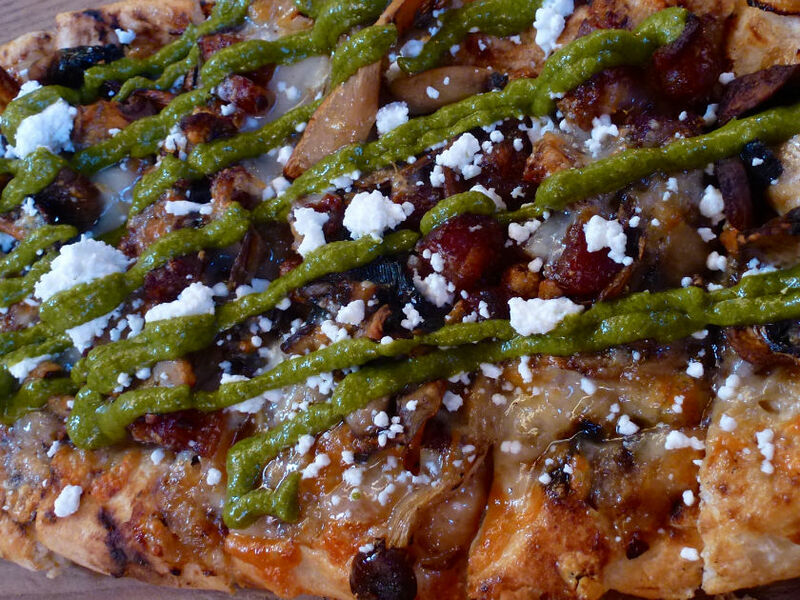 The roasted mushroom and country bacon pizette was topped with caramelized onions, white cheese and an arugula pesto. 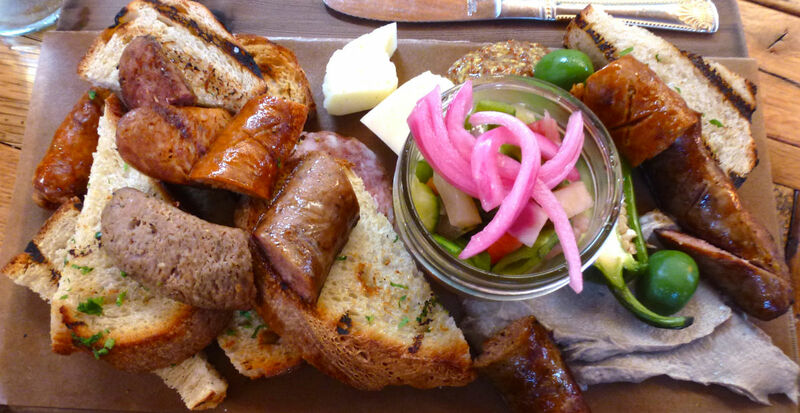 The grilled Postmark Sausage Board of charcuterie and cheese had slices of chorizo, bratwurst and Two River's cured meat, a mushroom and bacon paté, artisan cheese, a small jar of pickled vegetables and toasted bread. 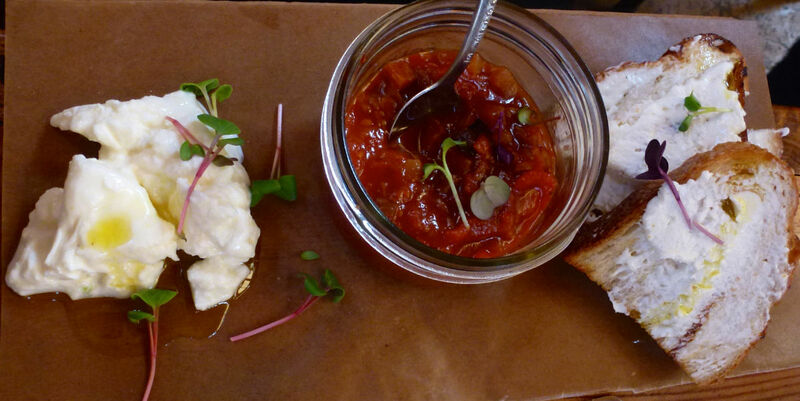 We also got the Burrata and eggplant caponata board, served with grilled sourdough crostinis and goat cheese coulis. Each of the three dishes was tasty and ample in size. With my meal I enjoyed a glass of the Clos de Soleil Cabernet Sauvignon Rosé from Keremeos, BC while my friend indulged in a glass of Pinot Gris. In retrospect I would probably have selected one of the salad or vegetable plates rather than three platters with bread or pizza base as our choices were somewhat carb heavy. But that means there are many options left to try on my next visit. And I will return. The play we saw at the Firehall was PROUD, a political satire by Michael Healey. I thought it was very good as you can read in my review. Check it out.